By Rebecca Nickols on May 4, 2012 Visit Rebecca's Website. This week I added three new little chicks to the flock! These new pullets will not only add more color to my flock, but they’ll give me a colorful egg basket also! 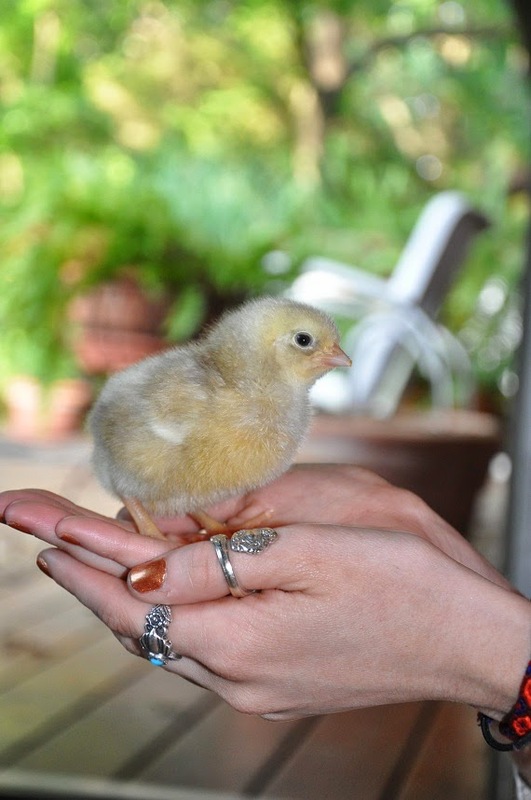 Fortunately, my town has a local hatchery (Estes Hatchery) where I can purchase and pick up my chicks on the same day … no minimum order and a huge selection of breeds! Here are the varieties I chose and some info on each breed from my Pickin’ Chicken app. Known for deep chocolate brown eggs! This isn’t the Black Copper Maran that is the most popular variety, but I hope she will still lay those beautiful dark brown eggs. 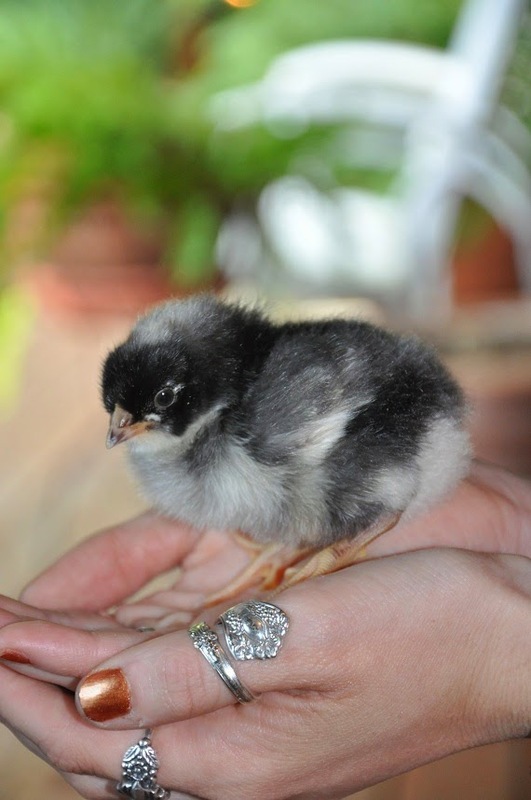 Marans are winter hardy with a quiet, docile temperament, but are quite active … taking well to free ranging. This breed/variety is not considered a heritage chicken. Great layer of large brown eggs. This breed is also winter hardy with a friendly personality. According to My Pet Chicken, they’re most happy when they get to range freely. I hope she’ll fit in nicely with my older free ranging flock! 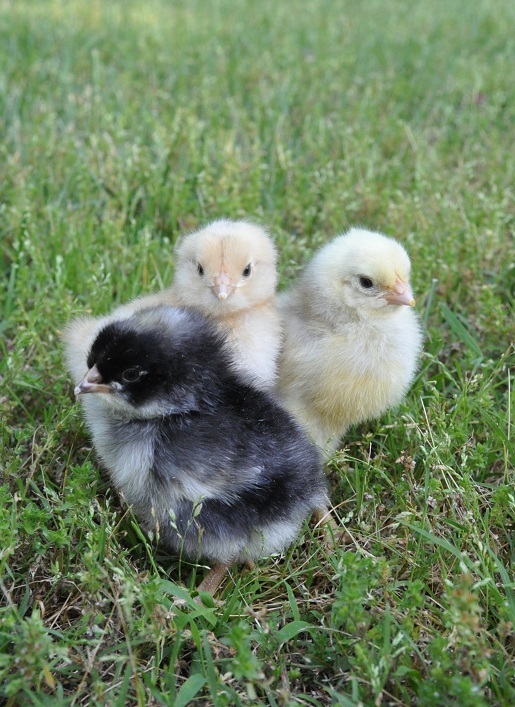 When these new additions reach maturity, the Maran will be solid black in color while the Rock will be completely white. The Easter Egger can have virtually any feather color or pattern and will probably have a beard and muff. In a few months I’ll have quite the colorful flock … and I can’t wait for the colorful eggs! They are darling. 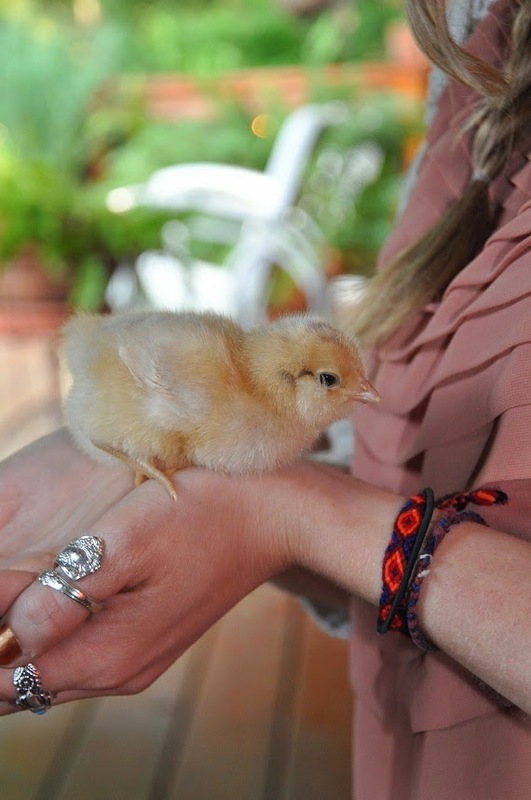 New chicks are such fun. So glad you got a Copper Black Maran Becks, they are lovely hens and the roosters are magnificent too. Maybe you’ll get one? The eggs are a very deep dark red/brown and delicious. The eggshells are slightly thicker too.